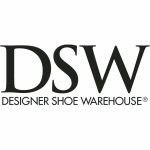 Revolver Marketing Group, in partnership with CAA, produced an in-store concert with country star Kelsea Ballerini at the DSW superstore in Atlanta, GA in front of hundreds of fans. The show was tied into a special Converse shoe promotion that allowed consumers to create their own personal design for Converse’s Chuck Taylor sneakers. A rousing success!